Armormat is a leading Bulgarian company in the field of roofing and waterproofing technologies and materials. The company is the Exclusive Representative for Bulgaria of the world's largest producer of roofing waterproofing products IKO - Canadian company with more than a hundred years of history and over 40 production facilities situated in Canada, the USA, Belgium, France, Germany, Slovakia, the Netherlands, Ireland and United Kingdom. 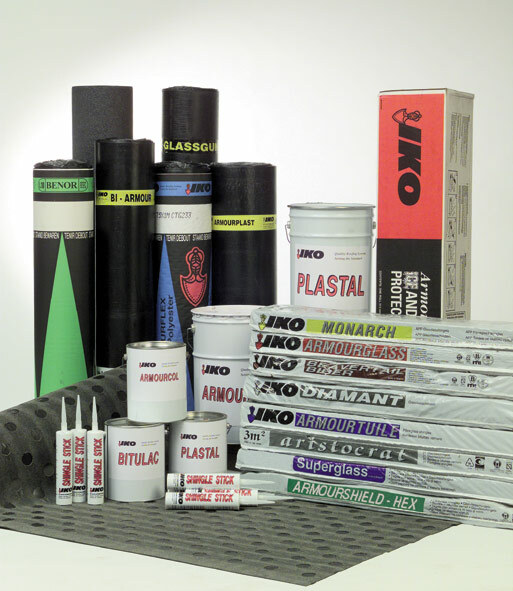 Armormat is also the Official Representative for Bulgaria of several other world-famous producers of various waterproofing and roofing materials. Our extensive variety of products and materials has impeccable reputation, recognized certification and distinguished awards. Armormat has offices and warehouses in the capital, Sofia and in the city of Blagoevgrad, as well as a network of partners and distributors throughout the country. With us you will find products of the world's best quality, a full range of technical documentation, and an honest and friendly team of highly-skilled professionals. The quality control system of Armormat is certified with ISO 9001:2008. Our products have been decorated with the "Gold Medal" award at the International Technical Plovdiv Fair. The company is a co-founder of the Bulgarian Association for Construction Insulation and Waterproofing (BACIW) and is awarded the "Quality Mark Award of BACIW".